The Vancouver International Wine Festival is one of the largest events of its kind in North America. With Canada as its theme country to celebrate our 150th year in 2017, Arterra Wines Canada (formerly Constellation Brands’ Canadian wine business), was looking for that “big idea” that would generate excitement for their brands before and through the festival. 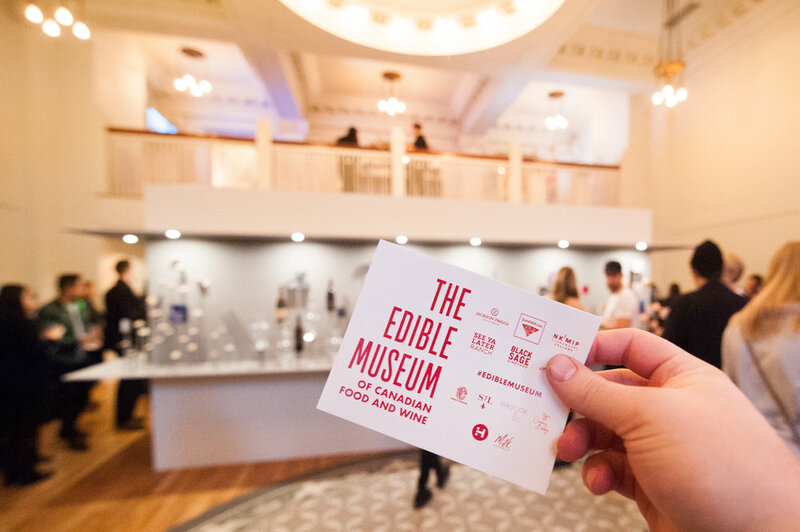 Our response: The Edible Museum of Canadian Food and Wine. 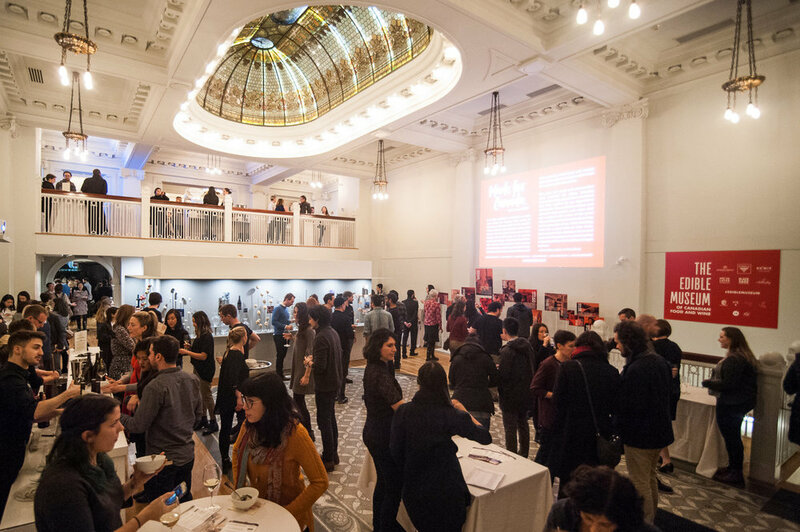 A public-facing, popup museum in one of Downtown’s heritage buildings, featuring wines from the Arterra Wines Canadian Portfolio with food pairings from acclaimed local chefs. The Museum was produced in collaboration with event company Here There, who developed vignettes and exhibits focusing on Canadian food and its history, a unique backdrop for an event that served as a liquid on lips opportunity for Jackson-Triggs, Inniskillin, Black Sage Vineyard, See Ya Later Ranch and Steller’s Jay. 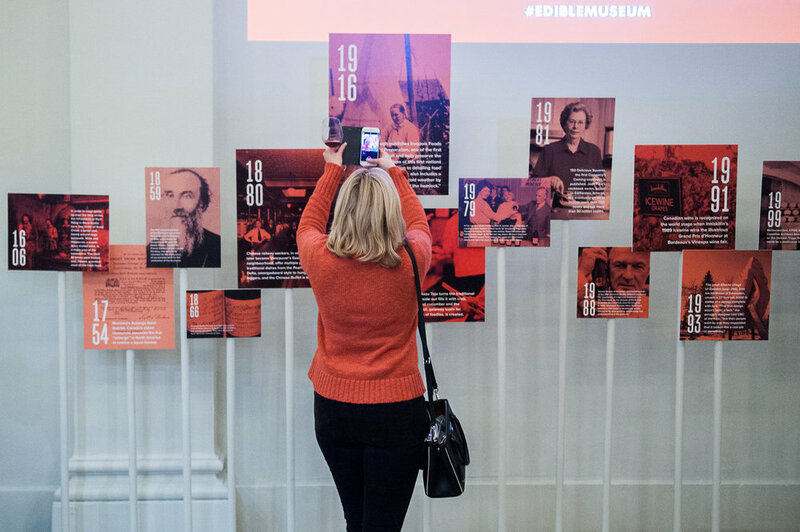 A sell-out within its first hour of ticket sales, the event continued to earn press even after tickets were unavailable, with final campaign impressions of 16,445,712. All ticket sales were donated to the Vancouver Food Bank, sending $4,246 to charity. When tasked with promoting five distinct wine brands for springtime sipping, we turned to everyone’s favourite seasonal springtime pleasure, flowers. With the help of a local florist, we developed tips on how to pair your wine and flowers through the season with suggestions like, “match your flowers to the label” or “choose unscented flowers for your dinner table and table wine”. We enlisted locally-recognized photography studio Page + Paper to develop stunning editorial imagery for our campaign. Leveraging this partnership enabled us to secure coverage in a range of outlets, including magazines like Fresh Vancouver, Vancouver Boulevard and Ming Pao Vancouver. The campaign activated in Ontario, and we developed a second suite of imagery for use in Ontario in our on-site studio. Our creative landed in outlets such as Reader’s Digest and VITA Daily. For the final phase, we engaged in outreach to social media influencers. Through Easter and Mother’s Day, influencers received bouquets with the paired bottle of wine, resulting in social media sharing across Instagram, Facebook and Twitter. Campaign impressions totalled 4,194,307 nationally. Fjällräven is a Swedish outdoor brand which has crafted durable and timeless equipment and apparel for 60 years. Milk was engaged by Fjällräven to help curate a successful grand opening of the new Canadian flagship and its first Toronto brand centre, following several successful launches in other Canadian markets including Vancouver, Victoria and Montreal. We developed an integrated community and media outreach strategy to drive pre-opening excitement around the store with a limited-edition cinnamon bun collaboration with Rosen's Buns, a online giveaway with Blog T, 1:1 media previews and a VIP Grand Opening event in the first weeks of the store opening. 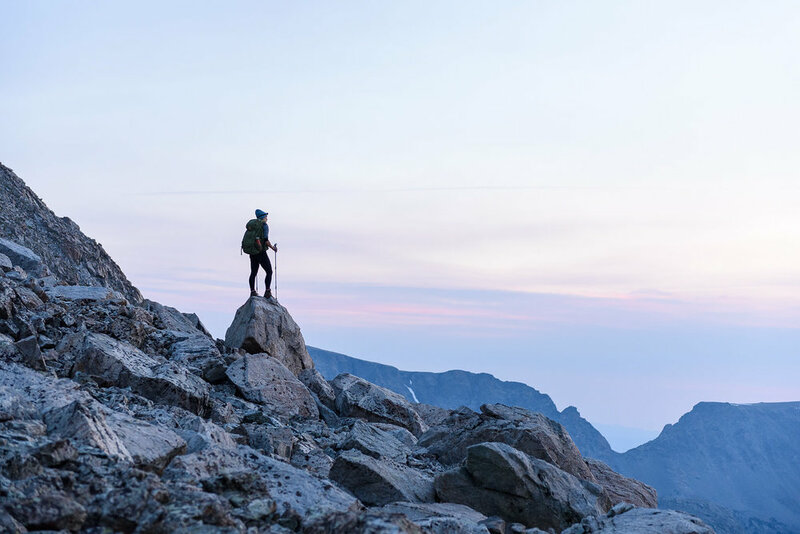 As a result of our efforts, Fjällräven earned more than 8 million impressions across online and social media posts with coverage in Retail Insider, Blog TO, Daily Hive, Toronto Life and Title Magazine.